My awesome readers may have noticed that I’ve been kind of quiet here on my blog lately. Well, there’s a fun reason for that. My family and I just got home this last Saturday from a fun-filled week’s vacation in Utah. We had a great time visiting with both immediate and extended family. Of course I made sure to include some family history in our trip. We were able to visit two cemeteries and we got together with a 3rd cousin of mine who has in her possession the photo albums of my maternal 2nd great-grandparents (more about these amazing photo albums in a future post). One of the cemeteries we visited was the Salt Lake City Cemetery. With anticipation we searched for Karen’s grave marker. I have to say I was somewhat saddened when we finally found it. Yes, I’m glad that Karen at least has a gravestone. 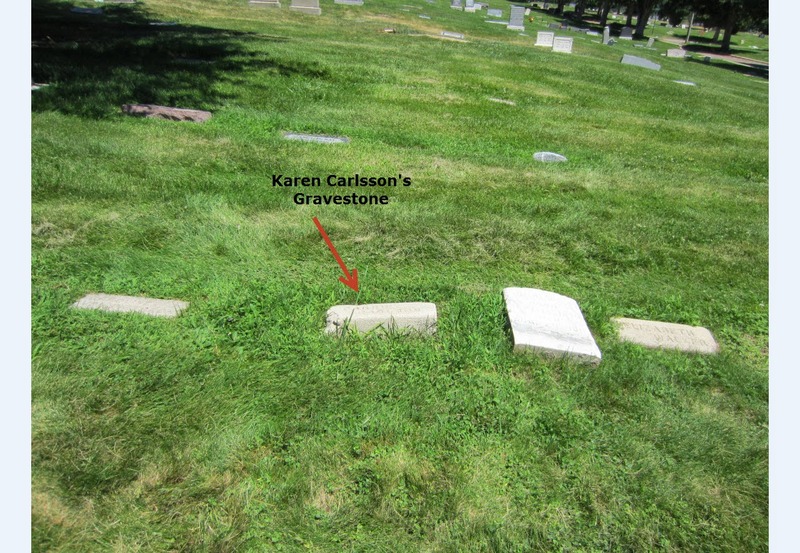 I just wish Karen’s grave marker was more than just a name on a slab of stone. I think she deserves to be honored more than that. So, we are looking into purchasing a more fitting grave marker for her. This year, 2012, is the centennial anniversary of Karen’s death. She was born in Gillberga, Sodermanland, Sweden on July 9, 1850. She passed away on January 29, 1912 in Salt Lake City, Utah. I imagine the reason her grave marker isn’t more elaborate is because Karen’s daughter Hilda (my great-grandmother) and her family were probably still struggling immigrants at the time of Karen’s death. I assume they couldn’t afford a more fitting gravestone for Karen. 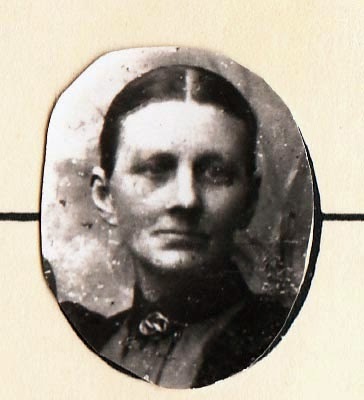 Hilda and her family immigrated to the United States from Sweden in 1909 and 1910, only two to three years before Karen’s death. The 1910 Census shows that Karen, who went by Carrie at this time, was living with Hilda and her family. According to this census, Hilda and her husband Carl only spoke Swedish at that time. 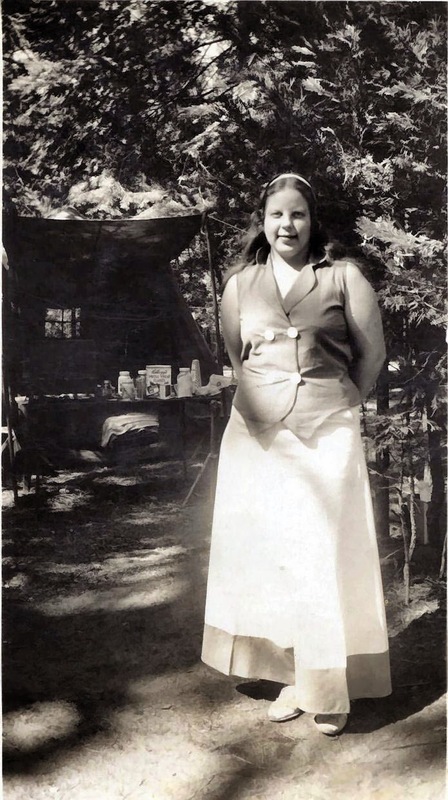 Carrie was able to speak English, as it appears she had been living in the United States longer than her daughter’s family. I’m so glad we were able to visit Karen’s grave, even though I was saddened to find her grave marker to be of a very humble nature. I’m also glad we are planning on giving Karen a more fitting gravestone some day in the future. My awesome regular readers may have noticed that my blog was a bit quiet last week. I didn’t post my weekly Fab Finds List or my regular Sepia Saturday post, let alone any other posts during the week. The reason? My family and I were on a week-long vacation in Utah. We had a lovely time visiting with our immediate and extended family, and with a 3rd cousin of mine. visiting the Utah Olympic Park at Park City (so cool!). Do you see the skier about to go into the water? eating delicious food at various restaurants including Cafe Zupas, Kneaders Bakery and Café, Maxwell's East Coast Eatery, Cafe Rio Mexican Grill, Nick's Greek Café, The Cocoa Bean Cupcake Café, and Chunga’s Mexican Food in Salt Lake City. Oh, and how could I forget the BYU Creamery? YUM! We also took a tour of the beautiful LDS Temple Square Conference Center. We have done this tour before on past visits to Utah, but it was still fun to take the tour again. And of course, the genealogist in me made sure we spent some time visiting a couple cemeteries. More on those visits in future posts. All in all, it was a very fun vacation with family, food, fun and laughter as we spent time together. Now it’s time to get back into the regular swing of things. Today’s Sepia Saturday prompt shows a photo of the “Health Fairy” with a group of children at Ithaca High School in 1920. 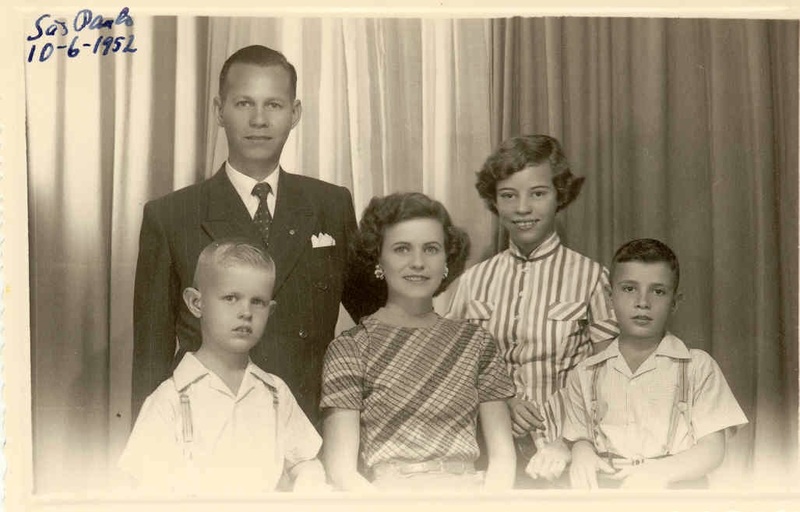 So, in keeping with my new “Tooth Fairy” theme, I will share a photo of my Dentist Grandpa, Debs Webster and his family before they left Brazil to immigrate to the United States. If you’ve been following their story, then you’ll remember that in the last installment, they just arrived in New York City in July of 1952. This family portrait was taken in Sao Paulo, Brazil on June 10, 1952. Included in the photo are Debs and my step-grandmother Willis, whom I introduced to you in a previous post, my mother, and my two uncles. I promise to continue with their story as they travel across the United States by car on their way to their final destination of Southern California. Please click here to see what other Sepia Saturday participants have written about this week. Those Places Thursday - Speaking of Camping…. For those of you who follow my Fab Finds posts, you will know that my family and I went camping last week. We spent several days at Shaver Lake enjoying time with our immediate and extended family. and cooking in our Dutch Oven. And for the first time in the 10 years we’ve camped at Shaver Lake, we saw cows meandering out of the forest to walk through the meadow. So, what does all this have to do with my ancestors or genealogy? 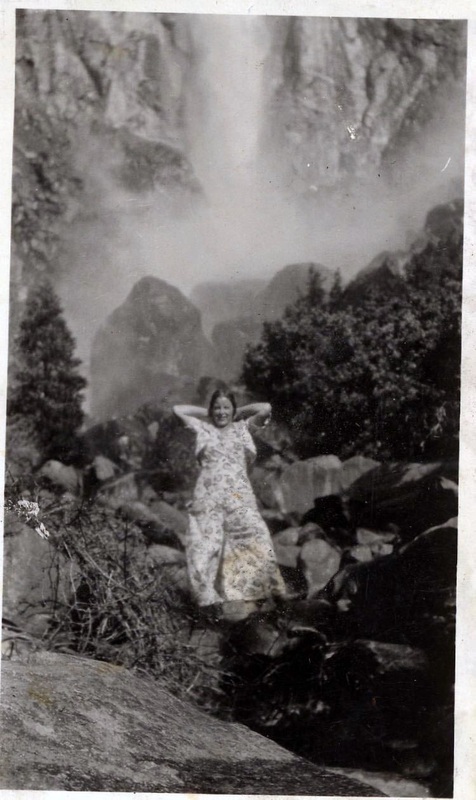 Well, it turns out my grandpa and grandma, Arthur and Ingrid Iverson, spent time camping too. Yikes! I would not want to go camping where bears were sniffing at the tent! No thank you! I'll take cows in the meadow over bears around my tent any day! 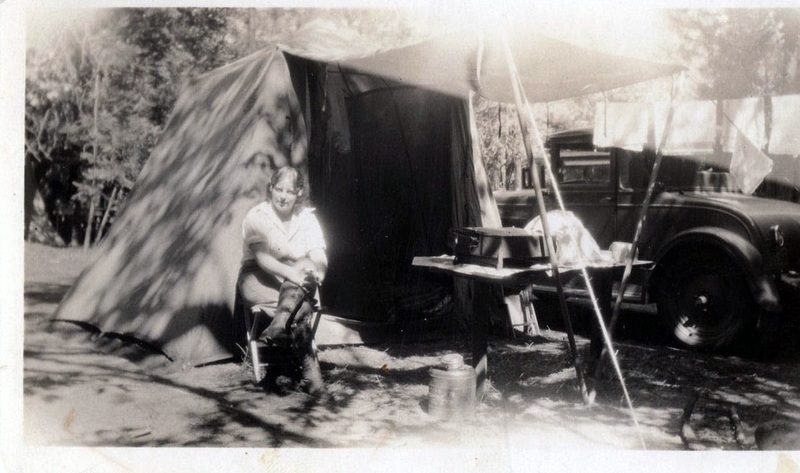 Here are some photos of my brave grandparents from a few of their camping trips. I love this picture of Arthur at home in his camping gear. I think I see a box of Kellogg’s cereal sitting on the table behind Ingrid. Do you see it? Don’t you just love that old car in this photo? This photo of Arthur is fun too. What about you? Do you enjoy camping? Do you have a favorite place to go camping? Share your camping stories in the comments below or on your own blog. And if you’d like to, you can include a link to your blog post in the comments section below. If you don't have any camping stories, I'd still love to hear your comments. Thanks for reading! Susan at Family History Fun has nominated my blog for the Illuminating Blogger Award, which is presented by Food Stories. Thank you Susan for this amazing honor! I am very grateful for your kindness in considering my blog for this award. Well, per rule 5, I’m supposed to share one random thing about myself. Actually, I’ll share two random things. First random thing: While attending BYU when I was a young single adult, I tried out for the Ballroom Dance Team. Did I make the team? Nope. I did make the first cut though. Oh well, nothing ventured, nothing gained right? Second random thing: So the other random thing about myself isn’t that extraordinary. In my spare time I enjoy reading. Who are some of my favorite authors? The photo I’ve included will give you a hint. I took this photo while taking a photography class at our local community college back in 2008. Yes, you’ve guessed it, some of my favorite authors are Jane Austen, Charlotte Bronte, Tolkien, and C.S. Lewis. I also adore books by Lucy Maude Montgomery. There are so many other blogs I enjoy...I wish I could just nominate all my genealogy blogger friends, but that list would be way too long. Thanks again Susan for nominating my blog. I appreciate your kindness! Today’s Sepia Saturday theme suggests babies. What a fun theme! Recently my mom let me borrow one of her old photo albums and in it was this amazing photograph of her as a baby with her mother, Sarah Vasques Madeira Webster. This photo, along with others in this album, are new discoveries to me since I don’t remember ever seeing them before. 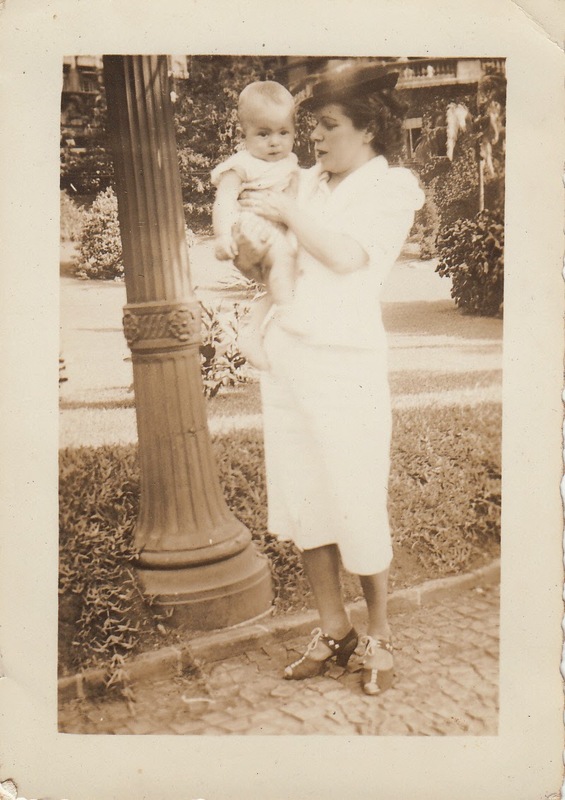 The above photograph of Sarah and my mom was taken in Brazil in 1939. 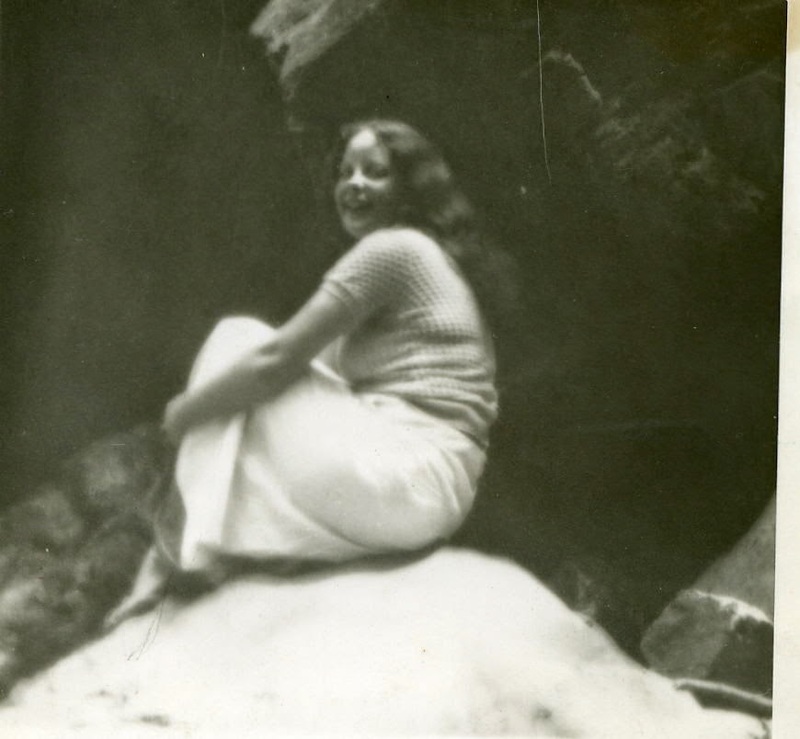 I’ve written about Sarah before in a previous Sepia Saturday post here and in a post here regarding the circumstances of her untimely death. My mom was only four years old at the time of Sarah’s death. Seeing the two of them together like this is very special indeed! To read what other Sepia Saturday participants have written about this week, just click here. This week was a short week for me in terms of Genealogy Blogging. 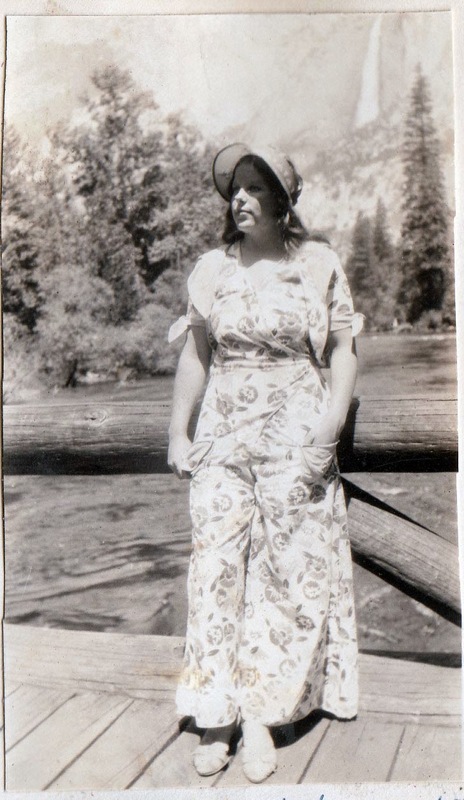 I just got back from a camping trip with my family, so I didn’t read any genealogy blogs from Wednesday through Friday. My fab finds for this week only include posts through Tuesday, July 10. With that in mind…. Once again I perused my Grandfather Debs Webster’s collection of vintage postcards for today’s Sepia Saturday post. The above photo suggests zoos or animal sanctuaries. 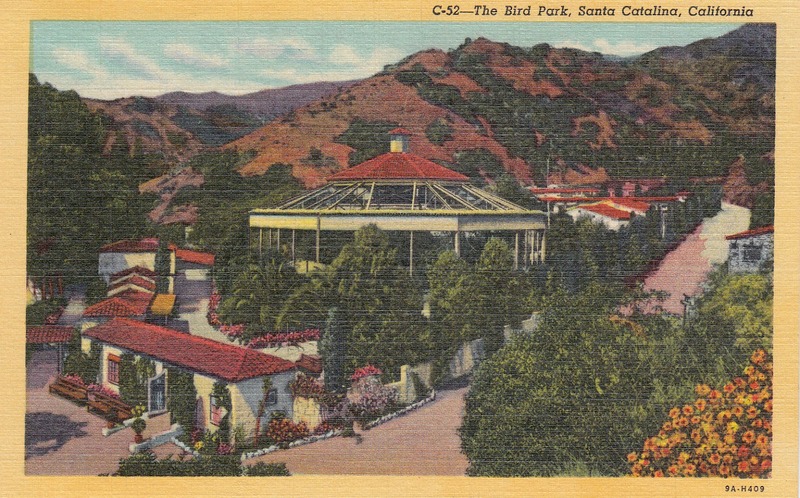 I understand it is not necessary to follow the proposed theme, but when I found these two beautiful postcards of The Bird Park at Santa Catalina Island, California, I knew they were a perfect fit for today's theme. Santa Catalina Island, often referred to as Catalina Island, or simply Catalina, is about 22 miles off the coast of Southern California. The Catalina Chamber of Commerce has an official website. If you’d like to check it out, here’s the link. According to another website, The Bird Park was established in 1929 and covered eight acres of land. It had over 500 cages and housed over 8,000 rare and exotic birds. 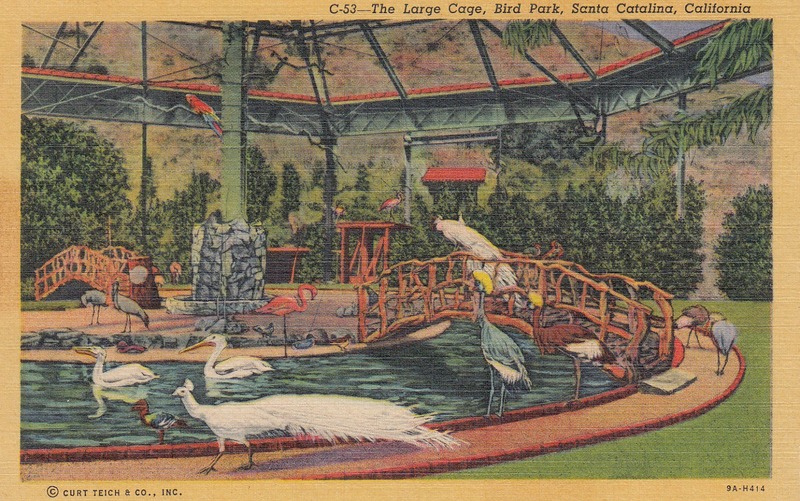 The Bird Park was a very popular attraction on Catalina Island for over thirty-five years. 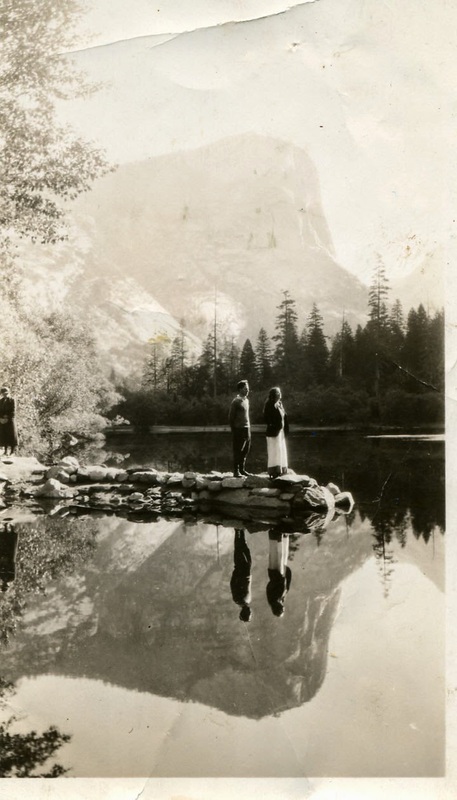 During World War 2, the Park was scaled back and never regained it’s prewar vitality. It closed in 1966. To view other Sepia Saturday participant's posts, click here. Today’s post finds Debs Webster and his family leaving Port-of-Spain, Trinidad and sailing toward their final destination of The United States of America. They still have 1,942 miles to go on the open waters of the Atlantic Ocean. As the photo below shows, the crew of the S.S. Brazil did a fantastic job keeping the kids entertained. For more photos of the kids at play, see my previous post Children's Games on Board the S.S. Brazil. Imagine the excitement Debs and his family felt as they finally approached the shores of the United States. I love that my Grandpa Debs took this photo of The Statue of Liberty while on board the S.S. Brazil. Debs and his family arrived in New York City on July 22, 1952 and stayed there until the end of the month. They had just left winter in Brazil and arrived during summer here in America. Following their arrival in New York City, Debs and his family stayed at the Hotel Greystone. My mom recalls that they stayed on one of the upper floors of the hotel and that there was no air conditioning. She said it was so hot! Originally built as a stately hotel in 1923, the Hotel Greystone is now an apartment building. Here is their current website - Hotel Greystone. This vintage postcard of the William Sloane House YMCA sits next to the Hotel Greystone postcard in my Grandfather Debs’ photo album. I asked my mom if they stayed there too, but she said no. 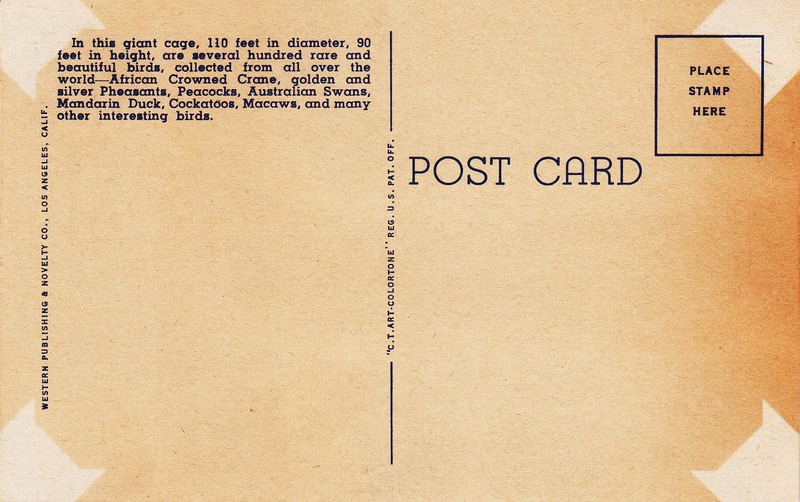 She thinks my Grandfather bought the postcard because he and his dad, The Traveling Dentist, may have stayed there on one of their trips to the U.S.
Well, my Webster family has finally arrived in The United States of America, so that is the end of this series of posts. But it’s not the end of their adventures. They still have a trip across the United States to make to reach their final destination in Southern California. 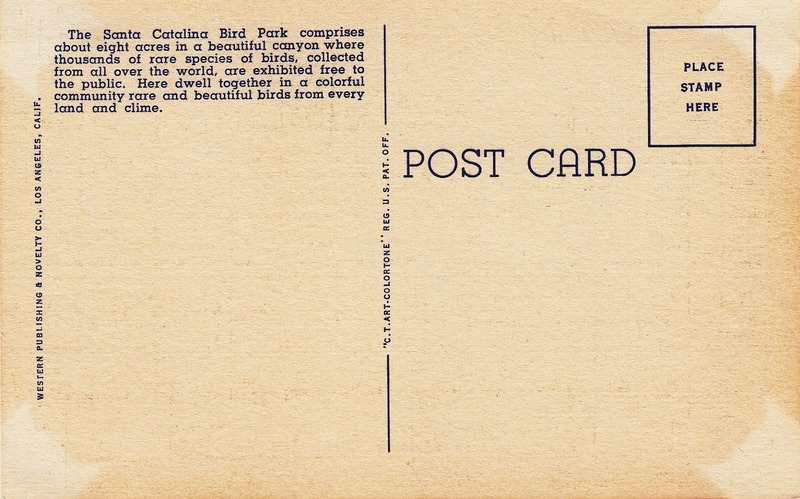 So stay tuned for more stories, photos and vintage postcards from across the United States.